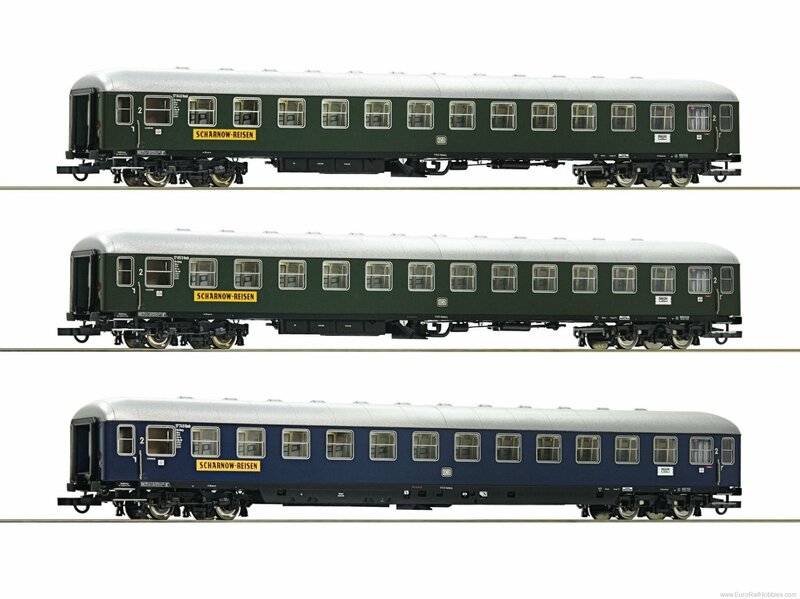 3 piece set: "Scharnow Reisen" of the German Federal Railways. Epoch III. Models in exact scale and interior design. Equipped for interior lighting. Coupler pocket according to NEM 362 standards and close coupling mechanism.